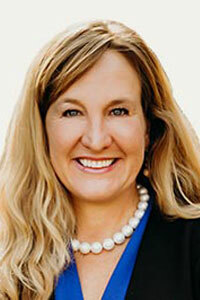 The Honorable S. Amanda Marshall is the former United States Attorney for the District of Oregon. Ms. Marshall represents individuals and business entities in civil and criminal government investigations and litigation. U.S. Attorney. Appointed by President Barack Obama and confirmed by the United States Senate, Ms. Marshall is the former U.S. Attorney for the District of Oregon. In her capacity as United States Attorney, Ms. Marshall was the chief political and legal representative of the Department of Justice in the State of Oregon. In that role, Ms. Marshall was responsible for all federal grand jury investigations, indictments, trials, and civil litigation involving the United States in Oregon as well as all government appeals to the U.S. Court of Appeals for the Ninth Circuit. Trial Attorney. Prior to being appointed U.S. Attorney, Ms. Marshall served for a decade as Attorney-in-Charge and Assistant Attorney General in the Civil Enforcement Division of the Oregon Department of Justice; and before that she worked five years as a State Prosecutor. During her government tenure and later in private service, Ms. Marshall has been lead-trial attorney in hundreds of cases. Ms. Marshall offers clients unparalleled experience spanning high profile criminal and civil matters in the areas of public corruption, financial fraud, healthcare fraud, narcotics enforcement, violent crime, civil rights, cybercrimes, national security, and other litigation involving private parties and government agencies. Client Services. Ms. Marshall sees opportunities where others see challenges. She represents businesses and individuals in government investigations, corporate audits, grand jury proceedings, and criminal defense cases— primarily in the areas of healthcare fraud, False Claims Act, qui tam investigations, financial fraud and public corruption. Clients benefit from Ms. Marshall’s enormous political and legal insights into the workings of the Department of Justice and those agencies whose legal matters and investigations she previously oversaw as U.S. Attorney such as the FBI, the IRS, the DEA, ICE, ATF, U.S. Secret Service and OIG. Personal Ms. Marshall is a member of the Oregon State Bar, Federal Bar Association, and the National Association of Former United States Attorneys (NAFUSA). She serves on the Boards of Champion Team (a non-profit organization providing a safe place and services for people experiencing mental illness and/or homelessness), McMinnville Montessori School, and the League of Minority Voters. She and her family reside near Portland, Oregon.